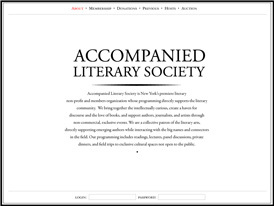 As avid bibliophiles and lovers of book design, we jumped at the chance to develop an online presence for the Accompanied Literary Society. 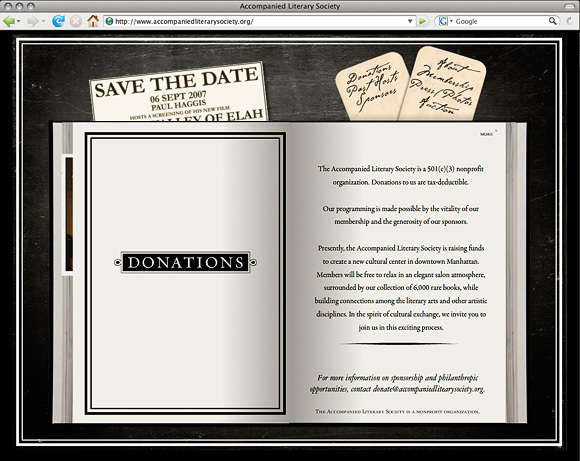 The emerging non-profit needed an online home to raise awareness, host event info, and promote new membership. 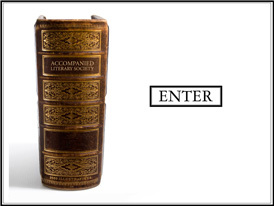 We initially developed two concepts (above) based on the traditional book designs and proportions of classic designers such as William Caslon and Bradbury Thompson. The first design took a more modern, minimal approach while the second a more literal one. 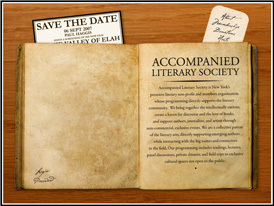 Choosing the more literal site design, Defined by Media developed a “virtual book” for the Accompanied Literary Society. 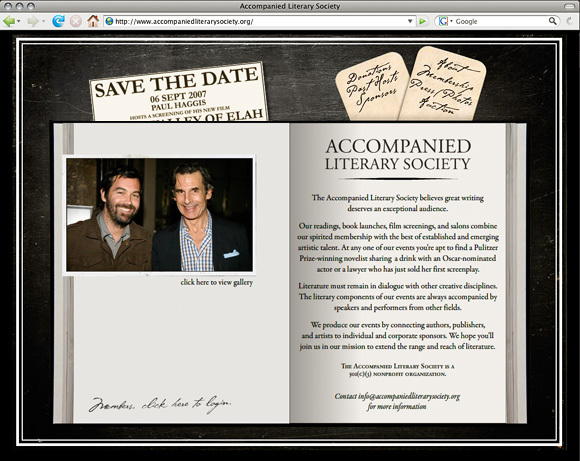 Initially built entirely in Flash, the site allowed visitors to easily flip through the pages and learn about the Society. Alternatively, “bookmarks” were placed in the book to act as a page-linking menu. 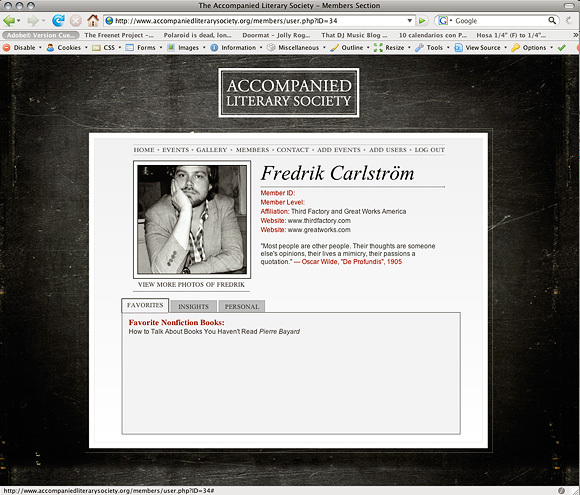 The site was later expanded to included more data-base driven elements such as a photo gallery, event calendar and a member’s only profile section (all manageable by the Accompanied Literary Society). 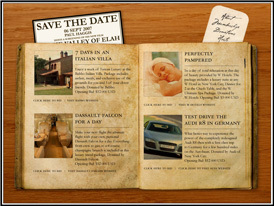 Several of these elements were then re-worked into the initial design and fed dynamically into the Flash interface. 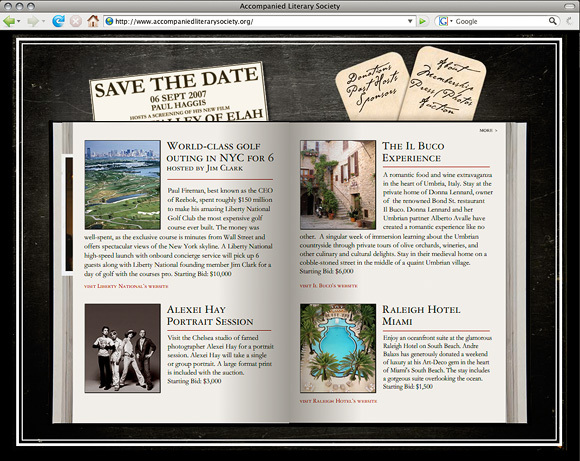 Overall, the final site is approachable, logical and easy to maintain by the client. 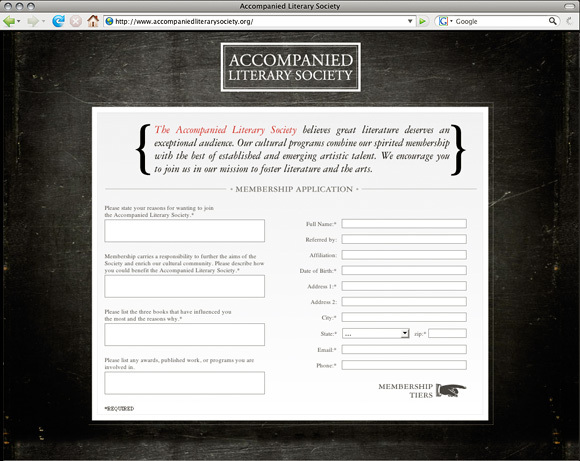 Design and develop an online web presence for the Accompanied Literary Society.